In addition to our retail bakery & deli, production plant, and offices located at 51st & Lincoln Avenue in West Allis, Grebe’s services nearly 300 wholesale locations with fresh, old fashion bakery on a daily basis, including Speedway, Sentry Foods, Piggly Wiggly, Sendik’s, Woodman’s Markets, and Open Pantry, as well as many other grocery, convenience, and hospitality locations throughout southeastern Wisconsin. Our trucking fleet faithfully delivers our quality bakery on time, every day, to locations as far as Green Bay, Madison, and northern Illinois! Interested in more info? Download our sales kit for additional details or contact us below and a Grebe’s representative will be happy to contact you soon! 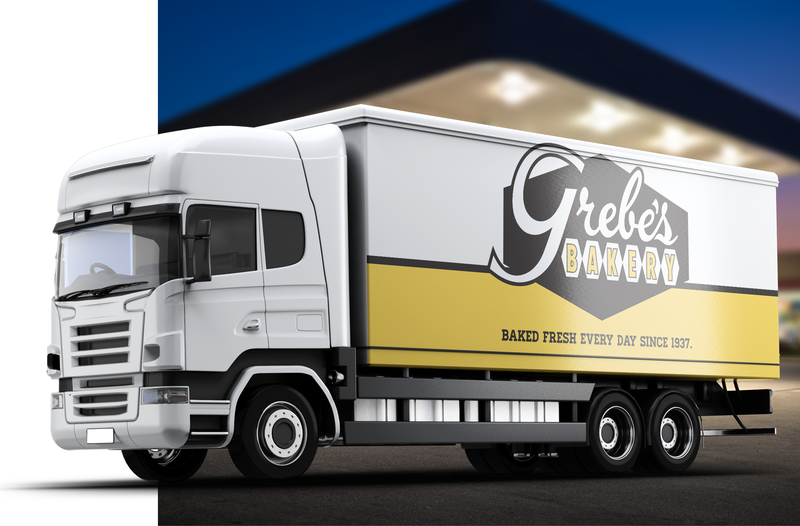 Grebe's can help your establishment increase foot traffic and build a loyal customer base offering fresh bakery delivered to your location each and every day. We have the staff, experience, and expertise to help coordinate and serve your large-scale event needs. If you are interested in our wholesale bakery program or would like to gather additional information about our corporate opportunities please feel free to complete the form below and a Grebe’s representative will get back to you as soon as possible.